The impact of international agricultural research comes down to people—the leaders and researchers with the passion and commitment to pursue outcomes for food security. 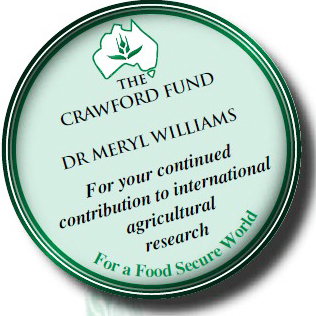 In 2010 the Crawford Fund decided to recognise those people who have made a considerable and continued contribution to international agricultural research, with The Crawford Fund Medal. 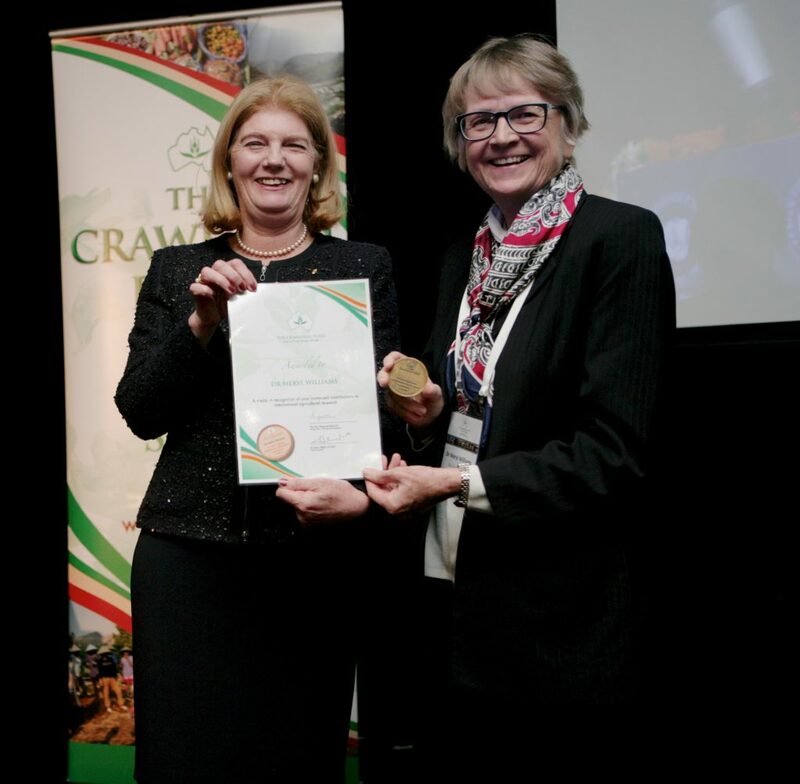 Dr Meryl Williams (PhD, FTSE) was awarded the 2015 Crawford Fund Medal at our annual conference on August 10 by The Honourable Penelope Wensley AC, Chair of the Council of the Australian Institute of Marine Science—an institution formerly headed by Meryl. Many will know that Meryl was formerly Director General of the WorldFish Center (1994-2004), during which time she concentrated the focus of WorldFish on eradicating poverty, improving people’s nutrition, and reducing pressure on the environment. She was also the Chair of the Commission of the Australian Centre for International Agricultural Research (ACIAR). Meryl has worked for nearly 40 years in Australian and international fisheries, aquaculture, aquatic resource conservation and agricultural research and development. Currently, she is focusing on research and advocacy on women and gender in aquaculture and fisheries, and information and science for fair and responsible fish production for food security and nutrition. To see Meryl’s full citation, click here. To view a video tribute to Meryl’s ongoing contributions to improving global food security, visit our YouTube site. Previous Crawford Fund Medal Awardees can be found here.